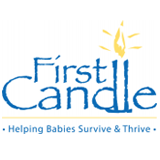 First Candle is a leading national nonprofit dedicated to safe pregnancies and the survival of babies during the first years of life. With programs of research, education and advocacy, the organization is working to ensure that every baby is given the best possible chance to reach not only his or her first birthday, but many happy birthdays beyond. First Candle also provides compassionate grief support to all those affected by the death of a baby through a crisis hotline available 24 hours a day, 7 days a week at 800-221-7437. Provide lifesaving safe sleep education and training to parents, caregivers, health care professionals and the general public to help prevent SIDS, SUID, suffocation and accidents during sleep. 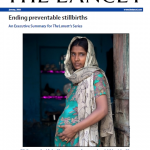 Promote kicking counting as the first proactive strategy that may help prevent late-term stillbirth. Fund medically based research to develop prevention strategies and find cures. 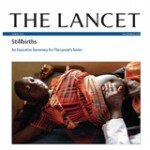 Advocate for increased awareness and funding for infant mortality issues.